Tanaka Cargill Group - Scam Software or Legit? Find Out! Binary Options Trading have become the top option for traders and even for common people, traders from all around the globe are joining binary options trading every day, and the number just keeps on growing. 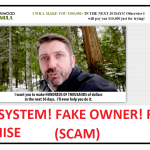 Since 2008, many companies started offering online trading options, but as its popularity started to grow, many fraudsters started fooling innocent people with their unrealistic offers using their fake sites and products. 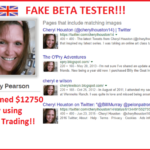 As of now, there are hundreds of fake trading sites available on the internet. People, who invest in those sites ends up losing all their money. And speaking of fake trading sites, Tanaka Cargill Group is one of the newest members to join this line. When you visit their site, you are welcomed by a video, and honestly, the video is the only source of info available on that site, because there is no contact us page, helpline number, and other important images, which usually you find on other trusted trading sites. As you play the video, a person starts describing how he was struggling back in 2008, and then he got a phone call, which changed his life. 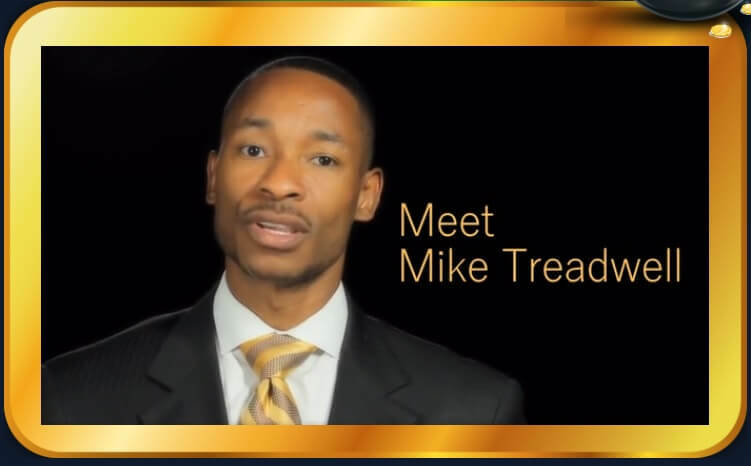 After few seconds, he introduces himself as Mike Treadwell, and he then continues and says that within 15 months, he became very wealthy, and he and his wife took retirement. Furthermore, he also adds that after watching this video, people will come to know what billionaires has been hiding from common peoples all these years. But the interesting thing is that after 3 minutes, you’ll hear a voice of another person who gives an insight that James Tanaka and Russell Cargill are behind this product. And they are only offering this chance to only 15 new people. If you visit the site, you will get no information regarding the software, not only this there is no information about the types of account they offer, what is the minimum & maximum investment a person can invest? What are withdrawal & deposit methods? This is some basic things which every genuine binary options trading site provides. Also for getting other information you can directly contact their customer support team, but in the case of Tanaka Cargill Group, that doesn’t seem to be happening. Moreover, just think for a moment. A user is using their software but due to some unknown reason it freezes or crashes, in such conditions who does the user will call for help? what alternative does he have? well, this still remains a mystery. By far, everything looks okay, but have you noticed that in the video only one successful user is giving his thoughts, and the tricky part is he came to know about it back in 2008, so how come this revolutionary product lead by James Tanaka and billionaire Russel Cargill have got only one satisfied customer in the testimonial video. In that video, the other person just keeps on bragging about their product but did you noticed none of them gives an info how the software works, what commodities, stocks, currency pair, and indices they offer to trade on. Another thing which needs to be mentioned is that, during the video, the 2nd person keeps on bragging that only 15 lucky people will be selected, but if you multiple sign up also, you will start getting emails from them, so in short let just say there is no such system which they claim to have. 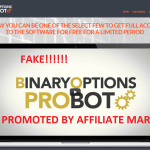 This is a common thing with these kinds of sites, they con people with their offers which are too good to be true but they don’t provide any kind of training or study material, so how will a person will improve his skill about binary options trading, because if you want to do binary options trading then you have to depend on your skill and experience, unless you are following a master trader. Almost every genuine binary options trading sites provide users with eBooks, Video tutorial & webinars which help them improving their skill and makes them a pro, nevertheless, Tanaka Cargill Group doesn’t seem to provide those materials, so the question remains how will a beginner by using their software will improve his knowledge and skill? 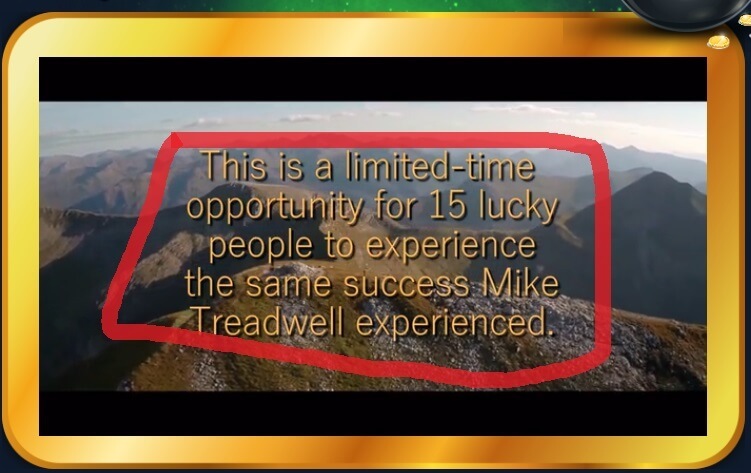 This is one of the cheap tricks which every fake site uses to lure people, and it would be quite fair to say that the person who claims to be Mike Treadwell doesn’t exist in reality, actually he is just a paid actors, and guess what even you can get those paid actors to work for you by paying just $ 10 – $ 15. 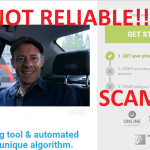 Those paid actors are available on sites like Fiverr, all you have to do is contact them and pay them that’s it and you can start making your testimonial videos. And moreover, just thing why the site is not linked with major social media platforms, how are they connecting with other peoples and letting them know about their product. In the video, a person claims that James Tanaka & Russel Cargill is going to work with those selected 15 people, and few quotes are also shown, but why didn’t they spoke for themselves? it was the easier thing to do. Moreover, if truly persons like James Tanaka and Russel Cargill were involved in it don’t you think the site would have had more advanced features and detailing. And if you do a bit more research then you will find out the search ranking of the site is below average, which is quite astonishing. Even though the sites claims that both the persons are the main head of this site, there is no way to authenticate it, you will not get any news or video in which either one of the guys is saying that they own this site, have a connection with it or introduced a revolutionary trading software for common people. Verdict – Tanaka Cargill Group does not seem to be Legit!! Overall, it would be fair enough to say that the Tanaka Cargill Group is just another fake binary options trading site made by fraudsters to scam innocent people, especially newbies. 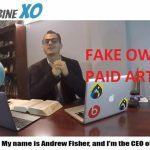 Even after watching the video, no one will get a hint about the software they are providing which the site claims to be worth $ 50000. Other things which raise trust issues is that you’ll not find any kind of customer support, no study material, other than that, there is no info about the assets and account types they offer, but then again such things are very common with these fake trading sites. 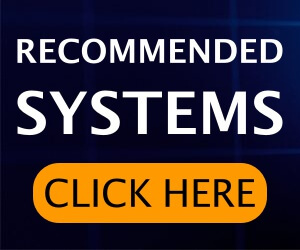 If you ever receive any kind of emails regarding binary options trading then before joining or even visiting the site it would be better if you do some research regarding the company. And if you are still confused or having any kind of doubts feel free to let us know by dropping your comments in the comment section below. We will be glad to help you out. 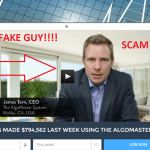 The Trader App Review – Scam Or Not? Find Out!